Because I’m a geek and because I have a wife who puts up with me, I got an A-320 Dingoo Digital for Father’s Day. I’ve been meaning to write about it ever since, but I’ve been too “busy” playing with the darn thing ever since I picked it up. The Dingoo is a small, handheld videogame console that at first glance appears to be a cheap Game Boy Micro knock-off. Upon further examination, it is capable of much more. 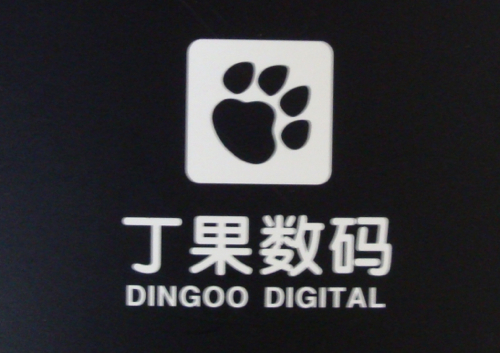 The Dingoo is an emulator and media player. Out of the box, the Dingoo plays Nintendo, Super Nintendo, Sega Genesis, Game Boy Advance, NeoGeo, and CPS1/CPS2 games. You’ll have to supply your own roms, or find your own. 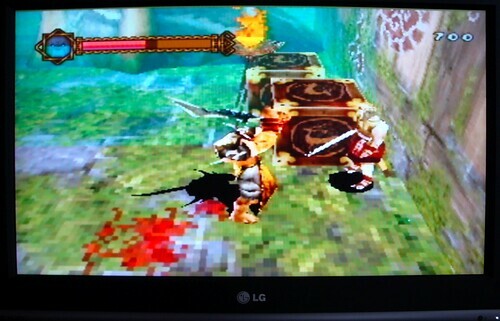 The device ships with six 3D games of varying quality as well. The four GB of internal storage should be more than adequate for most gamers, but should you fill that up you can add additional storage via the miniSD card slot. Unlike so many gadgets these days, the Dingoo actually comes with all the cables you need for it. 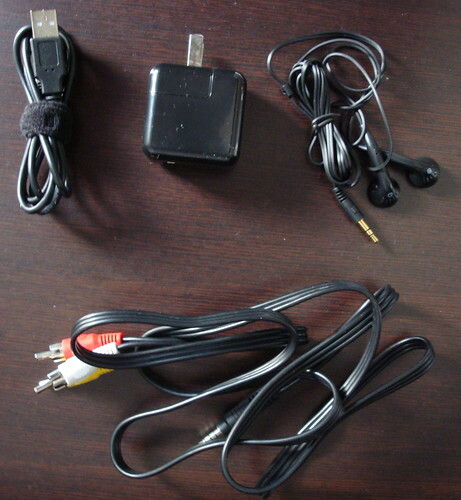 Included are a USB cable, charger/adapter, and TV-out cable. 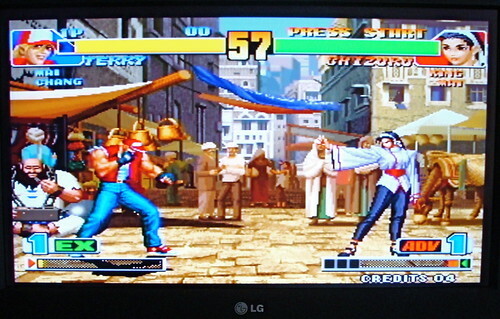 There’s something extremely satisfying about playing games from my childhood on nice, big TV. With the Dingoo, I can play the best of Mario, Sonic, Link, and Samus whenever I want to. 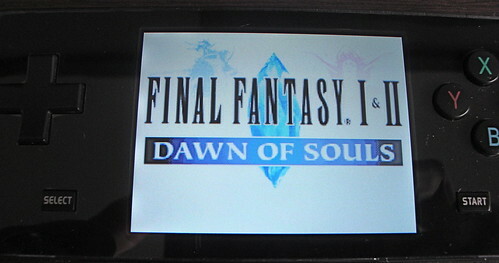 I wouldn’t hesitate to recommend it anyone looking for classic gaming on the go. This entry was posted in Video Games on August 4, 2009 by Ammon. Just wondering… how is this legal? I mean, it does the emulation, but you have to load your own roms? Otherwise I’m sure Nintendo/Sega whoever would be after them right? @John, I’ve also flashed the firmware and loaded a custom Linux distro called Dingux. It adds MAME, plus some other emulators, ScummVM, Doom Ports and a whole bunch of Open Source games (Tyrian, Open Liero, etc). I’ll post pictures and write more about that later.